Home » Laurie’s Tips » What Is a Repipe? Most homeowners do not realize that the pipes inside their houses do not last forever until it is too late and they have a plumbing disaster on their hands. Depending on the kind of pipes they are, your plumbing system could last up to 100 years. However, when you live in an area like San Diego with hard water, your pipes have a higher risk of suffering from rusting and other corrosion damage, which breaks down your pipes and creates leaks. Although it may be obvious that you need a repipe from water gushing under your home, there are also more subtle signs of trouble, including low water pressure, cloudy or discolored water, discolored or bubbled spots on your walls, and a spike in your water bills. To avoid more extensive and expensive damage, contact the top choice in the area for water line repipes and repairs, Steele Plumbing. You can trust our licensed and certified plumbers to do what we can to make repairs to your existing pipes. We will also tell you when it is more cost-effective to install new piping in your home. We would like to answer a few of the most frequently asked questions we get about our repiping services. What exactly is a repipe? When you own a home, occasional plumbing issues are inevitable from time to time. If these issues start happening more frequently and become worse and worse each time they occur, it is most likely time to consider contacting Steele Plumbing to schedule an inspection to see if you need a repipe, which is when every hot and cold water pipe in your home is removed and replaced. When do I need to have a repipe? If you live in a home that is 60 years or older, you should give your pipes an annual check to look for problems, such as discoloration, stains, flaking, or dimpling, that indicate corrosion is present inside your plumbing system. According to HouseLogic, it is important to have these signs of corrosion checked out by a professional here at Steele Plumbing. After we inspect your pipes, we can let you know if a repipe is necessary or not. Why should I know exactly what each pipe was made from? One of the most important reasons you should be aware of what type of pipes you have in your home is they could be poisoning your drinking water. Lead pipes were commonly used in the early 1900’s, and although they were durable and strong enough to last for 100 years or more, these pipes can add lead deposits to your drinking water. This is a serious health hazard, and lead pipes should be removed immediately. Another type of pipe on the immediate removal list, polybutylene pipes were popular in the 1970’s through the 1990’s, but they are highly prone to breakage & lead to leaks and other issues. Our plumbers are licensed, experienced, and certified in the installation and repairs of both PEX and copper pipes, which are two of the best types of pipes you can find. If you have noticed the signs of trouble with your plumbing system, contact us at Steele Plumbing no matter when problems may occur. 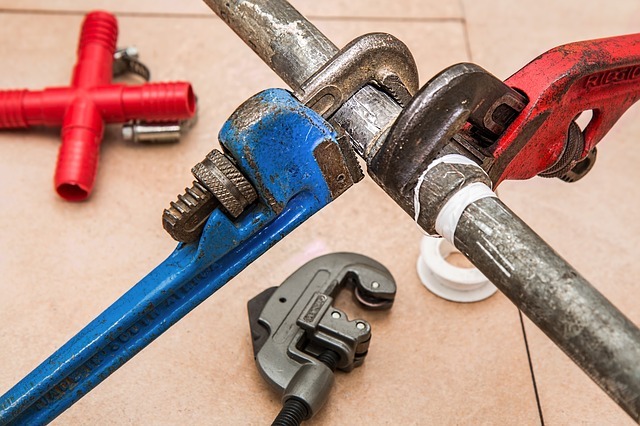 We are proud to provide comprehensive professional plumbing maintenance, repair, and installation services, that includes repiping 24 hours a day, 7 days a week.